There are two things I’m confident about when it comes to the beliefs of the majority of Nebraskans. One, we value education; whether it’s making sure we have high quality K-12 schools, or quality secondary education opportunities. Two, we believe in sound fiscal policy; including an appreciation for spending restraint and a balanced tax structure. We don’t believe those two things have to be in conflict, but you might get that impression based on sentiment expressed by some in the education community as Farm Bureau has weighed in on the need for property tax and school funding reform. Farm Bureau’s calls for local spending restraint and property tax relief should not in any way be construed as adversarial to public education. You know as well as I do that Nebraska Farm Bureau and its members value quality educational opportunities for Nebraska students. For decades, numerous members of our organization have given their time and talents to serve on local school boards, while many others have offered their service to Nebraska education as teachers and volunteers. Our members are proud to support their schools and their communities. As I’ve said on many occasions, including testimony before the Legislature’s Revenue and Education Committees, how we as Nebraskans choose to fund schools is a separate and distinct question from whether we should provide quality educational opportunities for students. We believe in quality education, but we also believe we must address the underlying imbalance in our tax structure that has led us to a point where property taxes carry the lion’s share of school funding. Nebraska is far outside the norm in terms of our reliance on property taxes when compared with other states. For example, the nationwide average contribution of property taxes for school funding is 32 percent. In Nebraska, it’s 51 percent. Calls for reform are not an indictment of whether our schools are doing a good job, but rather an indictment of an imbalance in the way in which we fund schools in Nebraska and the over-reliance on property taxes to do so. And make no mistake, Nebraskans want lower property taxes. Over the last 10 years, (2005 to 2015) total statewide property tax collections for real property increased 66 percent, with property taxes levied on agricultural land increasing 176 percent, commercial property taxes 49 percent and residential property taxes 35 percent. In 2015 alone, property tax collections increased statewide by six percent, a total increase of $216 million. That clearly outpaces the $204 million put into the state’s property tax credit program that was targeted to provide property tax relief. We’re not getting ahead. We’re not even treading water. To solve the property tax problem we as Nebraskans have to think bigger. We need visionary leadership. That’s the reason delegates at Nebraska Farm Bureau’s annual meeting adopted policy that seeks to set a limitation that no more than 40 percent of school spending could come from property taxes, bringing us closer to the national norm. The goal isn’t to harm education. The goal is to alleviate the pressure on property taxes and force the conversation that must take place about balancing the tax burden on Nebraskans. This is about fixing a problem that continues to be kicked down the road. Those who believe that calls for property tax reductions and school funding reform are attacks on education, are simply missing the point. We can work together to determine how much money it takes to provide adequate funding for schools. But, until we reform how we fund schools, there will continue to be undue pressure on property taxes. There’s no question that re-balancing the tax burden and how we fund schools is challenging. But having the ability to problem solve and tackle these types of challenges is why we invest in education in the first place. It’s time to think bigger on Nebraska tax policy. Reducing our over-reliance on property taxes to fund education is the right place to start. “A fair is a veritable smorgasbord.” At least according to the rat, Templeton, from Charlotte’s web. If you’re not familiar, it’s the scene where the rodent sings about all the wonderful food he finds after the lights of the fair go down. In this case, I’m not talking about food but rather all the wonderful agricultural products you can find at county fairs and the Nebraska State Fair, which wraps up this weekend. 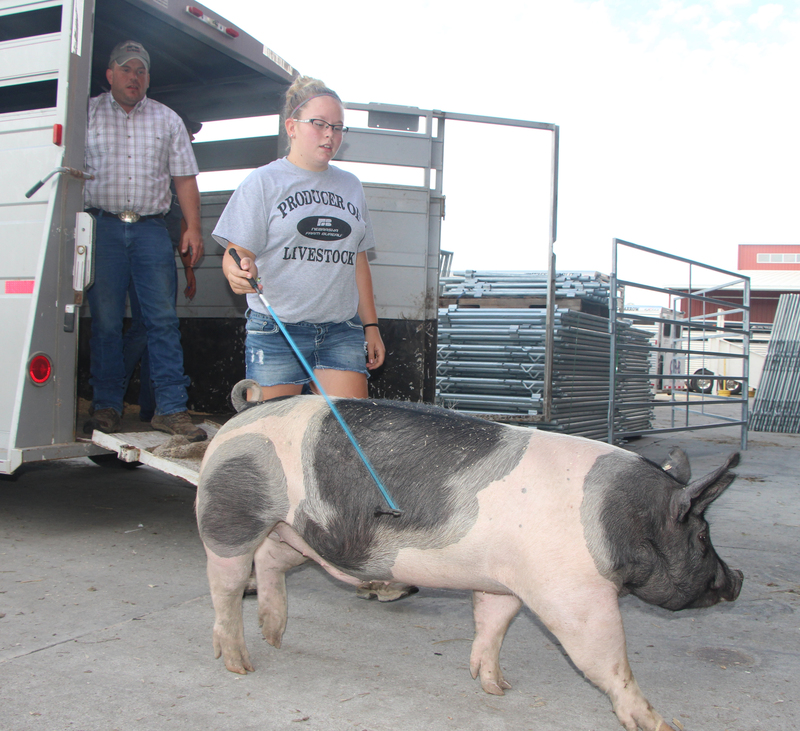 From the Milking Parlor to the Avenue of Breeds to the Antique Tractor Display, the Ag exhibits are endless, and for FFA and 4-H exhibitors, the end of a year of hard work on their projects. This year we heard reports of space running out in the sheep and goat barn because of so many producers wanting to show their product. And the hog and cattle barns are just as full. It’s exciting to see so many kids taking their projects to the next level. Now, I call on them to go even further. 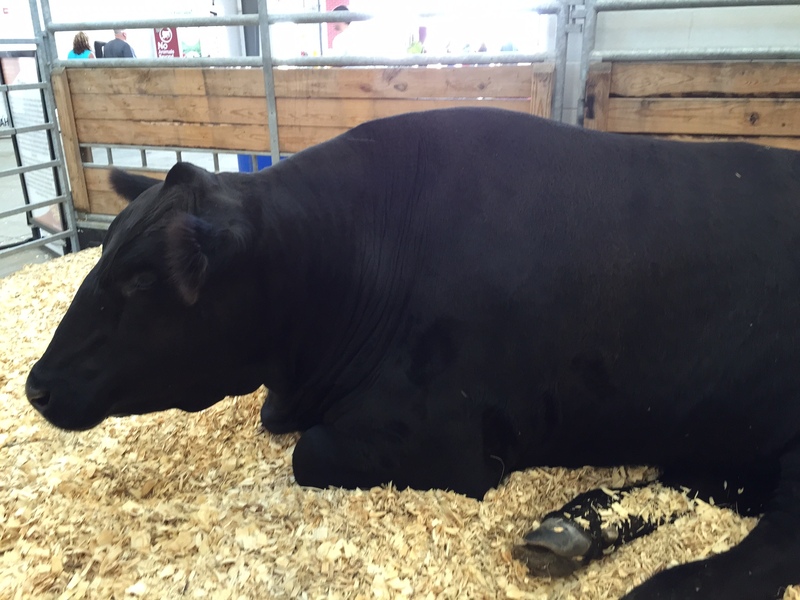 For many people, the Nebraska State Fair or the local county fair is their first, and maybe only, interaction with agriculture. Hundreds of grade school students in matching T-shirts are paraded through the state fair every year. They are excited to see and interact with the animals. But what are they really seeing? A large pet? Do they know why a farmer raises cattle or sheep? It is our job as livestock producers, farmers and Ag experts to go that extra step and explain why a heifer or steer exists. Why we shear sheep. How we bring only one or two hogs to the fair, while the rest stay home. And, ultimately, the fact that Nebraska farmers and ranchers are raising the world’s food supply.